Biographies of famous personages within Buddhist history, and information on the lineages they belonged to, with a special emphasis on women. Many legends are associated with the life of Bodhidharma, first patriarch of Zen Buddhism, including his association with the famous Shaolin Temple in China, and by extension, Chinese martial arts. 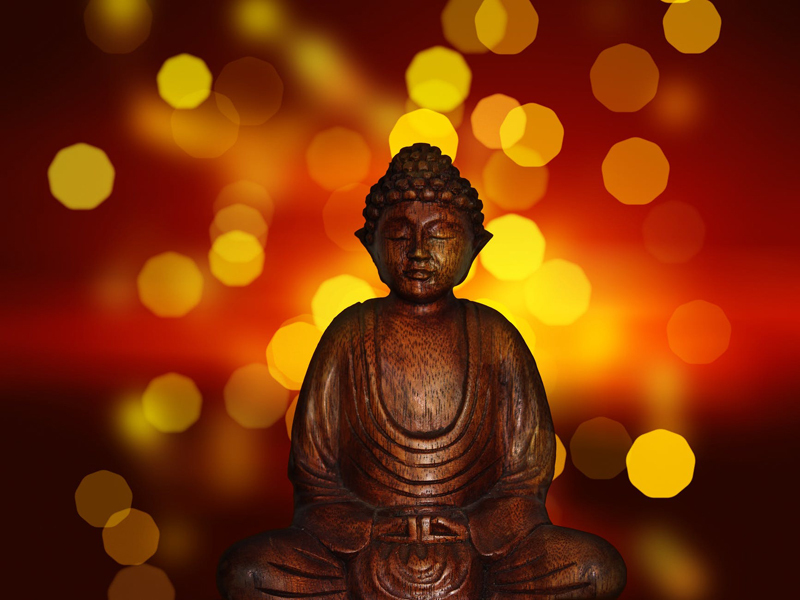 The Buddha's life story is an important part of Buddhist teachings, and illuminates many foundation tenets. In this first of two articles, learn about the Buddha's birth, childhood, and flight from home as a young man. This article continues and concludes the story of the Buddha's life, starting with his flight from home at age 29, and covering his subsequent spiritual quest, awakening, teaching, and death. Hinduism, Buddhism, and Taoism share many historical roots and themes, just as Judaism, Christianity and Islam do. This article provides a brief overview of the relationship between these three influential Eastern traditions. When you ask most non-Buddhist to describe what Buddha looks like, a lot of people will tell you he is the jolly, fat-bellied guy you see statues of everywhere. But who is the round bellied man so many non-Buddhist and Buddhist like to have statues of? Padmasambhava, an Indian Buddhist master, came to Tibet at the invitation of a Tibetan King to teach, thus creating the founding teachings of Tibetan Buddhism. Maha Pajapati Gotami was the Buddha's foster mother, raising him from infancy, and as an adult persuaded him to allow an order of Buddhist nuns, one of the first women religious orders in the world. This article summarizes the legend of Sukhasiddhi, considered a female founder and dakini within the Tibetan Buddhist Kagyu lineage. Reiki is an increasingly popular form of energy healing in the West, and although not formally a Buddhist practice, it does have strong Buddhist roots through it's founder, Japanese Buddhist Mikao Usui. Learn more about its history in this article. Yeshe Tsogyal was a Tibetan princess who through her relationship with Padmasambhava, the Indian master who brought Buddhism to Tibet, became an enlightened Buddhist teacher and the most revered female figure in Tibetan Buddhism.